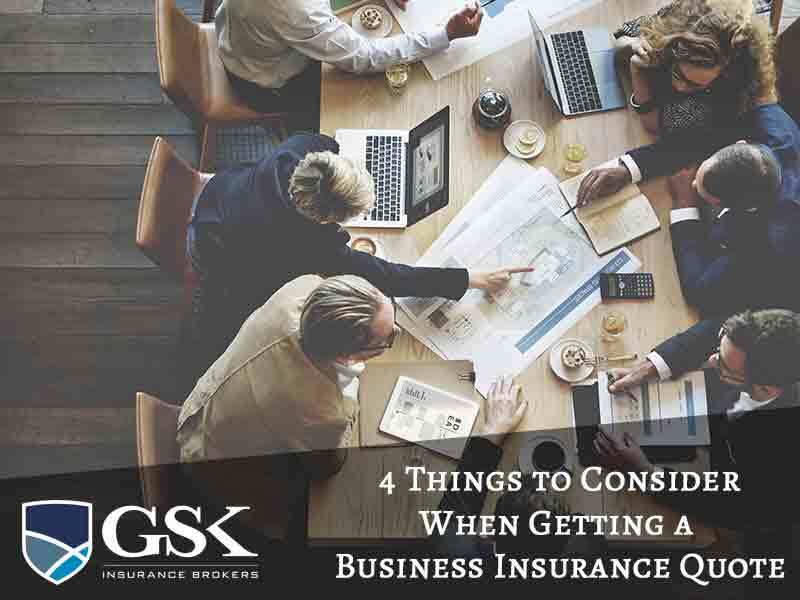 Whether you’re taking out business insurance for the first time or you’re looking to get a better deal on your existing insurance package, the first step is to get a quote. So, how do you go about choosing the best quote? As business insurance brokers, we’re here to share what you need to consider when you’re shopping around for a business insurance quote. The best advice we can give when it comes to getting a business insurance quote is not to settle for the first one. Even if the quote seems reasonable, it’s a good idea to shop around with a number of different insurers and see what they have to offer. Don’t be shy about letting them know that you’re approaching a number of insurers to encourage them to offer a competitive premium. If you’re getting a number of different business insurance policies, check to see if they offer a discount. Once you have a few quotes, you can decide which one is best! Although it’s understandable that you want to have the most competitive premiums possible for your business, you need to consider other factors with your business insurance quote. For example, how high is the excess? In some cases, a lower premium means that you could face a higher excess at claim time which can impact financially on your business. Also, a cheaper policy can also mean that you’re not getting the right level of cover. Think about the bigger picture and ask questions about what’s covered on your policy when you’re getting a quote. Even if you get a similar quote from two separate insurers, this doesn’t mean that the policies are identical. Take the time to review the Product Disclosure Statement and check the inclusions and exclusions. In some cases, you may find that one policy is better than the other when it comes to the needs of your business. If you don’t want the hassle of shopping around for business insurance quotes, the best thing you can do is speak with an insurance broker. Your broker has specialised insurance industry knowledge and contacts which means they can approach a number of insurers to find the best insurance package to cover your areas of risk. They know exactly what to look for when it comes to an appropriate level of cover and can use their expertise to get you the best price possible. GSK Insurance Brokers specialise in developing customised insurance solutions for businesses across Australia so your risks are covered. We understand that every industry faces a unique set of risks, so our brokers work hard to get you the best policies at a competitive price. For business insurance Australia, have a chat to our team today. For leading business insurance brokers Perth, contact GSK Insurance Brokers today on (08) 9478 1933.